Udaan Sapnon Ki to replace Madhubala from August 18! Colors Madhubala to go off air and Udaan Sapnon Ki to replace the same from August 18, 2014. We had earlier reported speculative news that Madhubala - Ek Ishq Ek Junoon will soon end up and Guruodev Bhalla Productions' Udaan Sapnon Ki will take the time slot. Well, TellyBuzz brings to you the confirmation on the same that Udaan Sapnon Ki will replace Madhubala - Ek Ishq Ek Junoon. The new show will air its first episode on the 18th of August. This surely is sad news for all the avid Madhubala fans. But like it is truly said, all good things have to come to an end and the same is the case with Madhubala. We hear that Madhubala will shoot its last episode on August 4. Madhubala had earlier got an extension of a month. Elaborating a little more on the new show, Udaan Sapnon Ki, the story of the show revolves around social scenario. The plot of the serial is based on a few children of the village in Uttar Pradesh, who are bonded as child labor in the hands of some rich landlords of that village. The show will move around child labor and what all the children will make to do. Colors is specifically known for its unique concept and we hope Udaan Sapnon Ki also gets the same love like Madhubala. Team TellyBuzz wishes the entire team of Udaan Sapnon Ki all the good luck. So here are the details: #Madhubala ends on Sat 9th Aug.
A temporary filler will take the slot before #Udaan launches on Mon 18th Aug.
Madhubala Ek Ishq Ek Junoon,the romantic fiction show is bidding adieu to the viewers.Udaan will air from 18th August on Colors TV at 8:30pm. As reported earlier,Raja will get healed due to Madhubala’s love and affection. Madhubala Ek Ishq Ek Junoon is performing slightly better than other fiction shows in the TVT data of Colors TV but the decision of closure shocked viewers,making them upset and they have taken social media to express their disappointment. Goodbyes are hard and we wish the entire team all the best.So keep watching Madhubala Ek Ishq Ek Junoon on Colors TV at 8:30pm. Min 1:24..Prieteni, Sanaya o mentioneaza pe DD. Vivian Dsena, who returned to play a brand new character after his reel death says, "RK's death was scripted as part of the storyline and the makers wanted freshness to introduce an element of freshness, so a 20 year leap happened in Madhubala EkIshqEkJunoon. I was brought back on popular demand and the requirement of the new script in a new role which has been much appreciated." The 'heroic' death doesn't hold much shock value any more for most viewers who know at the bottom of their hearts that dipping TRPs and bombarding social networking/microblogging sites might even get their star back on board in the show if they are lucky, or alternately the fresh new storyline might amp up the spice quotient in the soapy world! RK & MADHU | MADHUBALA... Vivian Dsena and Drashti Dhami as RK and Madhu — the forever couple — were killed in a dramatic bomb blast to add to the screen drama. Reel reason for death: Drashti stayed back to play her own daughter, while Vivian quit the show because he didn't want to play daddy to a 20 year old. The much loved series ‘Madhubala’ on Colors is set to end this month, BizAsia can confirm. According to sources close to the channel, ‘Madhubala’ will be ending on Saturday 9th August after months of being under the scanner. Rumours of the show going off-air have been circulating for sometime but now the show’s fate has been decided. ‘Madhubala’ has a cult following with viewers objecting at the channel’s move to axe the show. However, ratings have continued to fall over the past few months, with only recently picking back up again. Colors will end the show on Saturday 9th August after which, the channel will be place a temporary filler in the 20:30 slot (India) for a week. This will then be followed with the launch of ‘Udaan’, which will permanently take the 20:30 slot from Monday 18th August. In the UK, ‘Madhubala’ is aired at 19:00. The channel will announce official details in the coming days. Which Indian TV lead bahu has best skin according to you in prime slot between 7-11 pm? 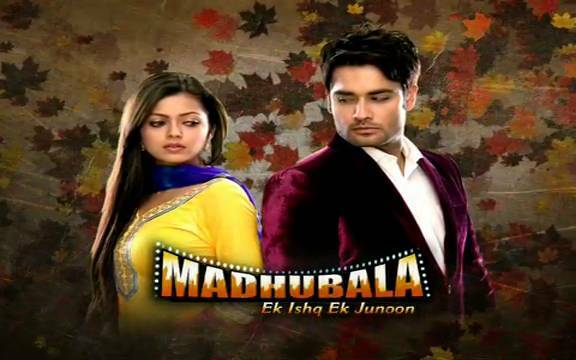 Madhu and Raja to become superstars in Colors' Madhubala - Ek Ishq Ek Junoon! Colors' popular show Madhubala - Ek Ishq Ek Junoon says a final goodbye to the audience as its their last day of the shoot. Nautanki Films' popular show Madhubala - Ek Ishq Ek Junoon has gained immense popularity over the time and the performance of the stars is too applauded by the masses. While the leading actors Drashti Dhami and Vivian Dsena's onscreen chemistry has left no stone unturned to woo the audience, but their chemistry and moments will no longer be seen on screen as the show is all set to bid adieu. Though it is very disappointing but the show will end on a good note. Since the inception of the show the story revolved around a superstar RK (Vivian Dsena) and an ordinary girl Madhubala (Drashti Dhami). With the leaps and bounds the story progressed and took a leap showcasing Madhu and RK's daughter Madhu. Now as shown, it has always been Madhu's mother dream of seeing her daughter becoming a superstar and hence the show will conclude with the same. Our source informs us, "It will be a happy ending in the show where Madhubala will fulfill the dream of her mother by becoming a superstar. On the other hand Raja too will become a superstar." Adding further our source says, "Their will be a celebration on the sets today after the shoot and all cast will be present for the celebration." Well this is indeed a sad news for the loyal fans of Madhubala but never mind something interesting is coming up. Fans coin monikers for their favourite real-life TV couples! After television's favourite on-screen jodis were given cute nicknames by their fans, the small screen's real-life jodis, too, got interesting monikers, like Brangelina and Saifeena, by tweeple. The fans, who coined these cool combinations, regularly post pics and comments using these hashtags. Here is a list of television's popular real-life couples whose monikers are a hit on Twitter. Vivah - Vivian and Vahbbiz Though this couple has worked together in a show, they weren't romantically paired with each other in that soap. Vivian Dsena and Vahbiz Dorabjee recently walked the ramp for a designer and their ramp outing resulted in a deluge of #Vivah photographs on Twitter and Facebook. Andreea_Miha a scris: Fans coin monikers for their favourite real-life TV couples!